rivalry | Out of the Box! 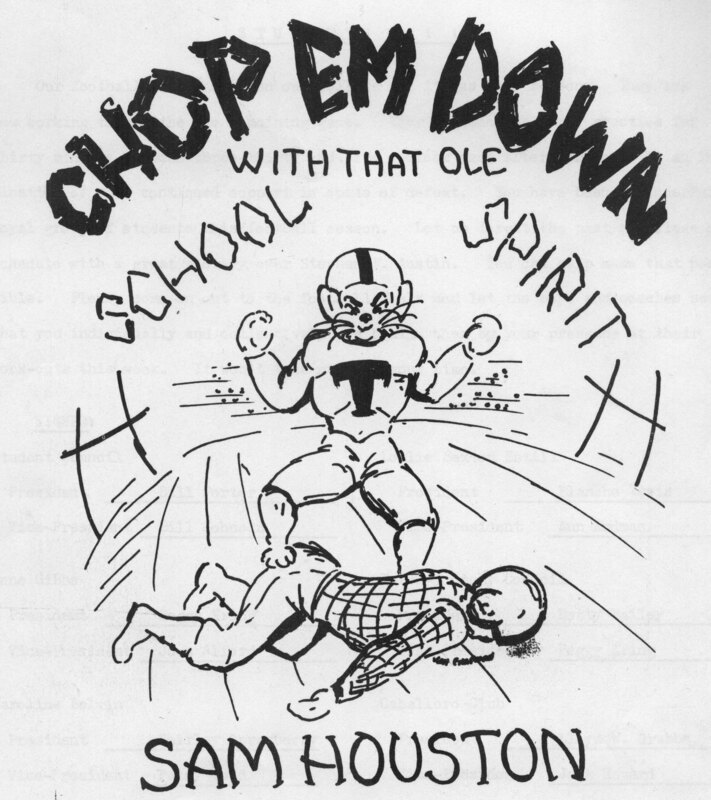 “Chop em down,” was the battle cry on the Sam Houston State campus in the 1950s when the SFA Lumberjacks came to town. 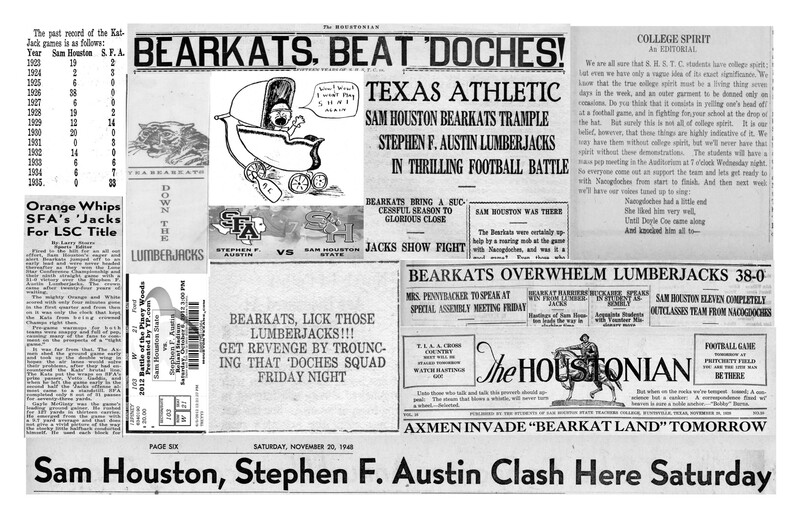 This cartoon cover was an invitation to all students from the SHSTC campus student organizations to come out to Bearkat football practice and show support for the team before the upcoming traditional rivalry game with SFA. The “T” on the Bearkat refers to the fact that Sam Houston State University was Sam Houston State Teachers College at this time.